If you are interested in how to make money from a website, you are in the right place! I was new to all of this in the spring of 2017. Now I am in the unique position to help you get started. The beginning steps are still a close memory, but I have learned a thing or two since then. I want to have as much information on my site as possible to help you prepare yourself for all the steps. 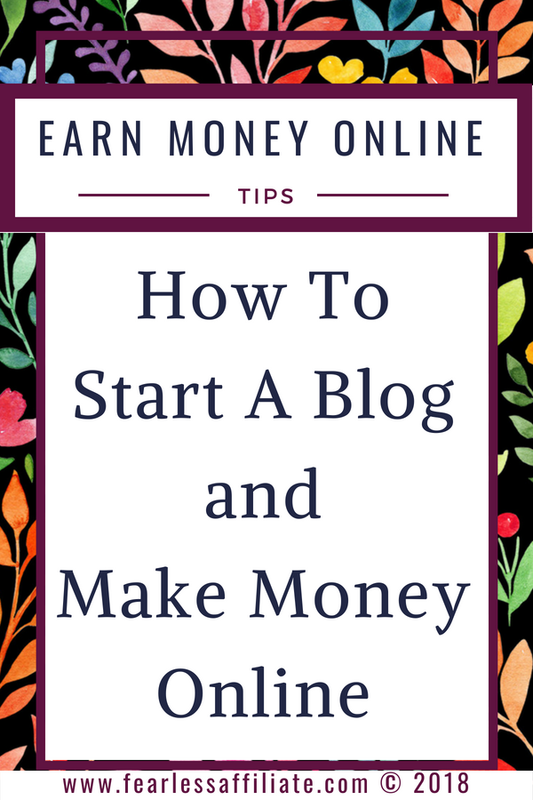 However, before you can start building that passive income, you need a blog. Well, you do not need a blog, but it helps. A lot. Having a blog opens up the possibilities for ways to promote affiliate links. So let’s start there. You need to choose a topic for your website. If your goal is to help people in some way, how do you want to do that? Your niche is based on this. For example, you may know a lot about fixing cars and can give advice on various things that people can do at home to maintain or fix their vehicles. The top 5 niches to get into are: money (frugal living blog, financial tips), health & beauty (diets, exercise, fashion), babies/children/teens (stay at home parent blog, travelling with kids), lifestyle (homesteading,camping, travel) , and home (DIY, organizing). Related Post: What is a Niche? Your website address and that long string of characters in the address bar that will help Google and everyone else find you online. You can go online and look to see if the name that you want is available. This is the bridge between your website and your online presence. Siteground is the most highly recommended website hosting and is popular with many bloggers because of their reliability and support. Many hosts also offer one-click WordPress install. What is this WordPress that I speak of? It is a content management system, or CMS and you use it to write your blog posts. Related Post: What about free WordPress hosting? A content management system, or CMS, is the platform that you will be writing on. 30% of the world’s websites are using WordPress.org as their preferred CMS. The .org differentiates itself from the .com version, which has free hosting. You cannot put affiliate ads on your free WordPress site, because WordPress.com puts their own ads on your site in exchange for giving you free hosting. If you are going to blog as a business, you need the WordPress.org version, which is free and is likely included with your hosting, usually as a one-click option. No one should be charging you for the WordPress software. Related Post: Want a super successful website? Many of them free and ready to go for woo-commerce. 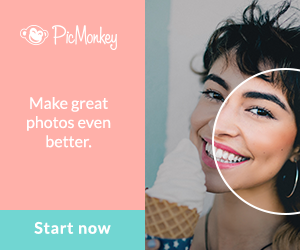 There are also a ton of plugins that you can use to optimize your website for speed, image compression, spam capture, social shares and thousands more. Your SEO plugin will create the details for you to upload your sitemap to GSC. Once your site is indexed, then you will not have to do it again. Be sure to install Google Analytics, which is a different tool than GSC. 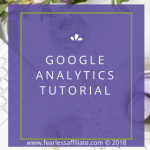 Google Analytics gives you the data from your website traffic so that you can monitor how many visitors you are getting and where they are coming from and where they go on your site. This gives you valuable information that you can analyze and utilize. If you have one popular post, you can find a way to repeat it! Here is some information on how Google searches. Yes, the writing part, or how to write a blog. A blog is the part of your website where you write regular posts. Once you write and publish your first blog post you can add your link to Google Search Console and get the Google bots to crawl your site. I do this immediately after I hit publish. The standard advice is to write “evergreen” content, which is content that is always relevant. Unlike a post that is about Christmas 2017, evergreen content is helpful year after year and contains useful current information. It is best to write posts that are at least 1000 words long. It will take several hours to research your topic, write it out, edit it and have it ready to publish. Longer posts show your audience that you have, indeed, researched your topic. And that you understand it well enough to write about it. Google loves this! Quality posts move up the rank faster. Later, as you get better and better at writing and understanding your niche, you will be able to go back to old posts and freshen them up with new information and insights, new images or videos and other helpful information to give your readers the best understanding of the topic. Google likes this as well. This is part of SEO – Search Engine Optimization. You can do this kind of tweaking once a year, or whenever new information comes to you that you can add to your post. 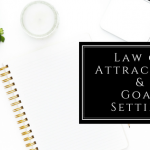 Writing these evergreen posts is what will give you authority in your niche as well as bring you traffic for many years. You may be familiar with Pinterest as a hobby or scrapbooking site, or that place you go for recipes. I used to get so annoyed when I did a search on Google on my phone and it kept coming up with results from Pinterest. It finally dawned on me what I was looking at…a search engine. A visual search engine. Actually Pinterest is the third largest search engine, right behind Google (#1) and YouTube (#2). 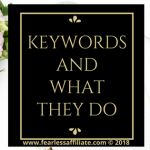 It is worth learning how to leverage the traffic that is on Pinterest searching for solutions. Don’t be like me and put off learning how to get traffic from pinterest. Jump into Pinterest and start grabbing that free traffic! 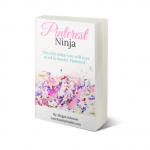 An excellent, robust and inexpensive course to learn how to start using Pinterest is Pinterest Ninja. I know you will love this course as much as I do. 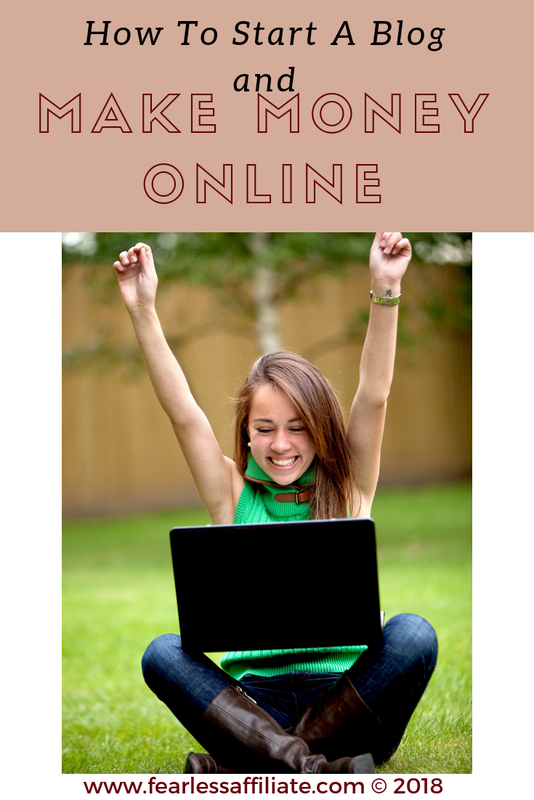 It has tons of training videos, printables everything that you need to start gaining blog traffic. A good Pinterest course is a very worthwhile investment for any blogger who wants to earn from their writing. 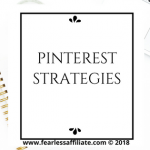 As you can see, I have a couple of posts on Pinterest, which I wrote because I was also learning the steps to grow traffic with Pinterest. I was amazed that no one had told me about the power of Pinterest earlier! I think that one of the best ways to make money is with affiliate marketing. 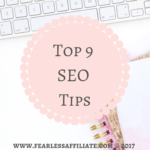 You find products that you already use or that you have researched, you write a blog post about it and put links to the product in the post. If a person clicks the link, you potentially earn a commission. Clearly, you will need more than one product to promote. this is not get rich quick. However, you can make money if it is done right. What I mean is that many affiliate programs payout 4 to 6 weeks after the month that the sale was made, or after a minimum dollar threshold has been met. Another reason to be promoting a lot of good quality products. 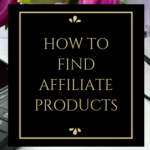 You should include affiliate product links anywhere in a blog post where it looks natural. One sure fire way to make it look natural is to do product reviews. People are always reading reviews online before purchasing a product, so you can write product reviews to help people find good quality products that you use and trust – or have well researched. You will find some people only promoting really expensive stuff online, but many bloggers will tell you that it is more profitable to promote lots of less expensive products, especially if you are promoting Amazon products. It is so easy to add a $10 product to your cart and not feel any pain about it. Not so much with a $600 blender, especially if it is the first time someone is visiting your site. Not that you cannot promote expensive products, just know that you should have some reasonably priced items to gain trust from your website visitors. I would rather buy a $10 course or ebook from someone and see if their ideas are on the same wavelength as mine, and then maybe buy the $99 item or $199 item. 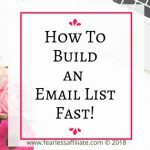 This is where you create a way for loyal visitors to get more information, freebies and exclusive content in exchange for their email address. A sales funnel is how you create brand trust in your website. It is your chance to promote yourself, your brand and your products to new people. Hence the term “marketing”. MailerLite is free for the first 1000 subscribers. The sooner you start your email marketing, the better. If you want to make money online, you need to sell. A simple way to start selling is by promoting affiliate links in your newsletter. This gets both you and your subscribers used to it. It is an awesome way to connect with people who already like your content. This is huge! If you have a problem with the “salesy” part, then find free stuff to promote to your list. Just get used to putting links into your newsletter, as well as writing that weekly newsletter. We did not talk about this much. The thing with ads is that you need traffic to make money with them. So this makes them suited for addition later on. However, most new bloggers will put Google AdSense ads on their site because they accept most new websites right away. They do not earn very much income in the beginning because you will have very little traffic. Google requires you to earn $100 before they pay you out. Media.net is another ad company that accepts new blogs almost right away. Please oh please do not load up your new website with ads. It is a negative experience for visitors because it slows loading time. And it is annoying. One or two ads in the sidebar or footer is best to start with. Well this is a longer post than I thought it would be! I hope that I have given you enough information to make an informed decision about jumping in to online marketing. This is an amazing world that I enjoy belonging to, and I want you to join us! There is room for everyone. Please tell me in the comments about your experience with blogging, affiliate marketing and any success or mistakes you made as a new blogger. I wish you the best of luck with your blogging. Please share this post with others! Sharing is caring, am I right? 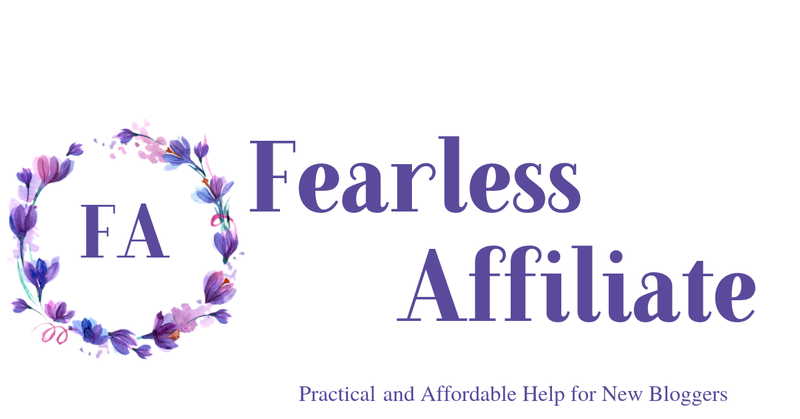 And sign up for my weekly newsletter of tips, freebies and deals for bloggers. Well written and informative post Irma! I will say that I have noticed a bit of jump around my Pinterest and have started to utilize this part of social media to my advantage and hope it goes well! Hello Brandon and thank you for visiting us today, and thank you! There is a bit of a summer slump with Pinterest, because many users are on holidays right now. However that makes it a perfect time to create new pins and find new pins to share. I just wanted to leave a quick note here to say the article is very helpful. 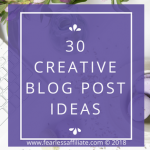 Recently, I start new campaigns and plan to leverage the Pinterest. I am glad I run across your site and get enough info on how to execute the plan. Thanks for the share of this. I will try out some tips from Pinterest Ninja and see how things will be going on. You will not regret learning how to leverage Pinterest. If you start now, then when the summer slump is over you should see a real uptick in visitors to your website. Wow, this is a LOT of great and useful information! I have just started blogging, and I have still learned a few things here. I visited your article on Pinterest and that is something I need to work on. Thanks so much for the invaluable information! Yes, that post kind of got away from me in size. However, there is a lot to learn. Holy Moly, you have a lot of great info on your site! I clicked on one link that brought me to another interesting article, clicked on a link in that that brought me to yet another informative post. Yikes, I’m bookmarking your site! Thank you Donna and thank you for visiting us today as well! I loved the post! It is a great read and easy to follow. I am interested in reading again and doing more followup with the links you provided. Thanks! Awesome! I hope that I can encourage you to keep at it and keep learning more and more about how to be successful with blogging. I love it and I would hope that this post encourages people to get started, as well as to hang in there and keep at it. Success is right around the corner! 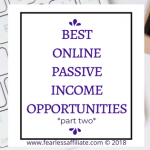 I really love this post… I just started my own website and have been following lessons from Wealthy Affiliate. Your content makes sense and is very easy to follow. I found your insights great and helpful too. Wealthy Affiliate teaches awesome SEO techniques and the skill of creating evergreen content, which is what new bloggers really need to learn first. The next step is Pinterest for quick traffic. I found when I was first starting out that there are some misconceptions about what blogging is really all about. I love blogging! I encourage everyone to have a blog and share their knowledge with the world. 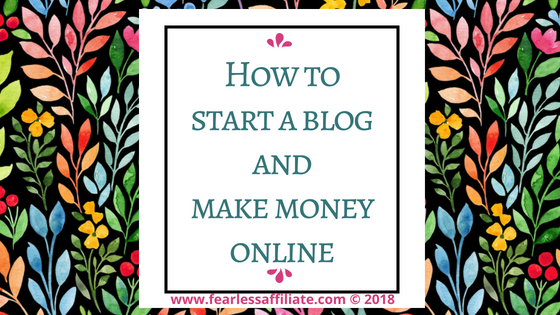 However there are a lot of websites promoting blogging or sales funnels as easy money, which it is not if you are doing it right (i.e ethically).